Gold Coast telephone On Hold Messages and Music On Hold advertising. Media Messages Gold Coast are the audio specialist with a particular interest in the production of quality audio productions for telephone message on hold programs. We supply inexpensive audio productions to be played on your telephone lines, educating your callers about your products, services, promotions and specials. Our head office is home to 6 recording studios, that have been custom designed to ensure the highest quality sound recordings, and are fitted with the very latest in recording and editing equipment. We also employ a team of professional copywriters, voiceover artists and audio engineers. Silence makes callers think they have been disconnected. Chimes annoy callers and make them think they have been waiting longer than what they actually have. The radio will potentially play inappropriate music or the announcers could say something to offend your callers, you also risk advertising your competitors, should they have their own advertising campaign with the particular radio station you are playing to your callers on hold. Telephone messaging and music on hold programs give you complete control over what is being played to your callers, is more likely to appeal to them, educate and entertain them. Resulting in less caller hang-ups and more enquires, and better sales conversions. Message 1 FVO: Looking for a bowls club with a friendly community atmosphere and loyalty points. Or what about a club with great entertainment, gaming and food every week? Nerang Community Bowls Club has everything you could look for right under the one roof. You can find out everything you need to know about us online at www dot nerang bowls dot com dot au. Message 2 MVO: At Nerang Community Bowls Club- a great time can really be had by everyone! Come down and see us at Cayuga Street Nerang. Our hours of operation are Monday 8am to 9pm, Tuesday, Wednesday and Thursday 8am to 10.30pm, Friday and Saturday 8am to midnight and Sunday 8am to 7pm. We look forward to seeing you soon! Message 3 FVO: Meet your friends and family at Nerang Community Bowls Club! Relax with a tea or coffee, or have a few quiet drinks in our Bar, with big screen tvs, Keno and Austar. We pride ourselves on having the most competitive prices around on our extensive range of beer and wines. Media Messages provide broadcast quality audio productions that sound professional and entertaining on phone lines. 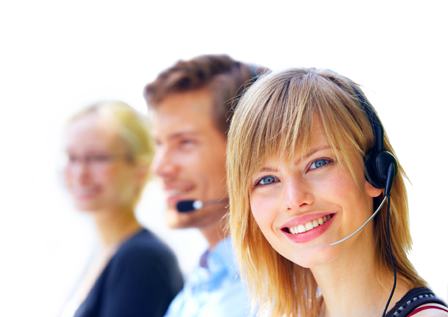 They will effectively help you to educate your callers and convert sales. Call us today for more information, or sign up for a free audio demonstration, created specifically for your business.